Amazing investment opportunity! 2 bedroom 2 bathroom updated condo located in Parkview at Palm Beach Condo, 2nd floor, water view, beaming natural light, covered back porch balcony, updated kitchen with newer appliances, new flooring in living room and dining room, a/c unit 2017, centrally located with easy access to FL Turnpike, 10 minutes from the international equestrian center in Wellington, close to great parks of Royal Palm Beach and much more! PRICED BELOW MARKET. EXCELLENT 1ST FLOOR CONDO IS SPACIOUS, AND FEATURES A SCREENED REAR PATIO WITH WONDERFUL GOLF AND WATER VIEWS! WASHER AND DRYER IN UNIT. 2 MASTER BEDROOMS. CLOSE TO EVERYTHING WITH 2 COMMUNITY POOLS! GREAT CONDO. JUST NEEDS SOME COSMETIC & UPDATING. LOADS OF CHARM & POTENTIAL! Greenway Village: 2 large bedrooms 2 full baths, kitchen just remodeled. Large living area. Washer and Dryer located next door.2 closets in Master Bedroom 1 is a Walk in closet. Huge Screened Patio with a Beautiful view. Wonderful Place to live Quiet. Across the street from Commons Park.Close to Shopping, Golf, Banks, Doctors and Hospital, 30 minutes to Beach, 20 Minutes to Airport. Trails At Royal Palm Beach Condo: 1ST FLOOR 2/2 CONDO IN THE TRAILS OF ROYAL PALM BEACH. ONE PET ALLOWED UP TO 25 LBS. MASTER BEDROOM HAS TWO CLOSETS, ONE IS A LARGE WALK IN. NEW WATER HEATER INSTALLED AUGUST 2017. NICE COMMUNITY CLOSE TO THE GOLF COURSE ANND ROYAL PALM BEACH COMMONS PARK. WALKING DISTANCE TO SHOPPING AND RESTAURANTS. Trails At Royal Palm Beach Condo: 2ND FLOOR CONDO 2 BEDROOMS 2 BATHS WITH AN ADDTIONAL LOFT ROOM UPSTAIRS. THE LOFT COULD BE USED AS GUEST BEDROOM OR OFFICE SPACE.TRAILS AT ROYAL PALM BEACH OFFERS 3 POOLS AND CLOSE TO SHOPS AND RESTURANTS. Trails At Royal Palm Beach Condo: Fantastic 2 Bedroom 2 Bathroom condo with a fantastic location in Royal Palm Beach. This centrally located unit in The Trails is close to everything. The unit is light and bright, and feels very spacious with a split bedroom floor plan. It features laminate and tile flooring throughout. The kithcen has plenty of storage and there is a washer and dryer in the unit. The ample master bedroom has a walk-in closet and the master bathroom suite has been upgraded with a beautiful vanity and tile shower. The guest bedroom is the perfect size and you have a screened in patio to enjoy the outdoors. Do not miss your your opportunity to see this unit today! 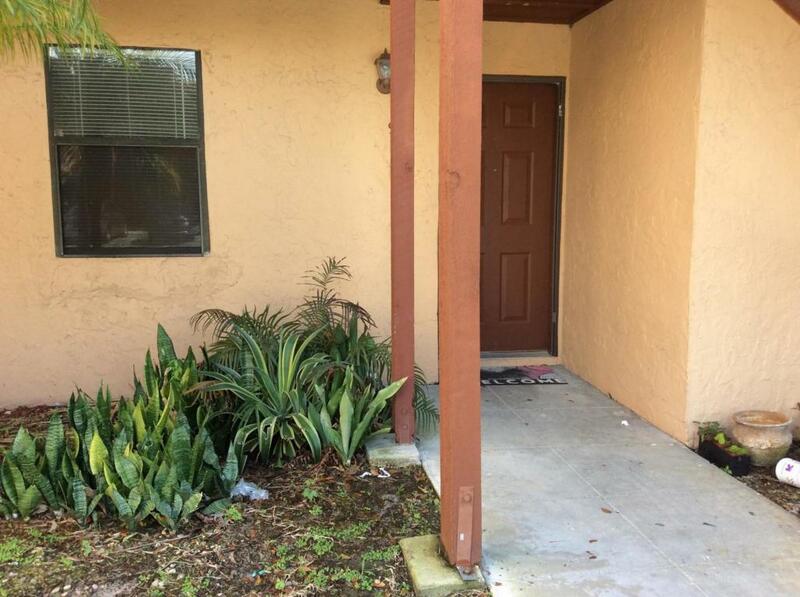 Greenway Village: COME TAKE A LOOK AT THIS CORNER UNIT IN THE HEART OF ROYAL PALM BEACH. THIS CONDO OFFERS SCREENED PATIO WITH PRIVATE FENCE AND COVERED PARKING SPOT. TILE FLOORING AND BRAND NEW CARPET IN SPARE BEDROOM. WASHER AND DRYER INSIDE. NO AGE REQUIRMENTS ON THIS UNIT!!!!!!! LOCATED RIGHT ACROSS FROM THE COMMONS PARK WITH TONS OF ACTIVTIES FOR EVERYONE. Grand View: !!! LOCATION, LOCATION, LOCATION, !!! Well desirable gated community Grandview at Crestwood is located within .5 miles of Southern Blvd. Community boast resort style pool and clubhouse. Include with unit is water, sewer, and basic cable. Private community within short distance to shopping, dining, entertainment, airport and downtown West Palm Beach. This second floor unit is very spacious with one attached car garage, carpet floors, granite kitchen counter and white kitchen cabinets. Balcony overlooks parking area. Unit is price to sell!! One of the very rare villas in the Trails, vaulted ceiling, skylight, spacious bedrooms, huge walk-in closet in master bedroom, private screened patio. Community swimming pool. Walk to shopping. Minutes to the new great Royal Palm Beach Commons Park. Public Golf Course. Great schools. Trails At Royal Palm Beach Condo: Recently remodeled condo. Upscale Urban Location. New floors in porcelain. Open floor plan. Owner has a real estate license in CO.
Grand View: Beautiful 2/2/1 in Grandview, First floor close to everything. A must see!!!!! !This unit was a model, just in front of the pool and courts. Shoma: **** JUST REDUCED TO SELL FAST !!!! **** Beautiful unit in a great community. Unit is very spacious and has an open layout. It has some upgrades and a great location. It is a 3/2 with its own private stairwell and receiver porch. Very private and cozy. Parking is on the rear side of the building and there is assigned parking for 2 vehicles + parking for guests. Maintenance includes water. Grand View At Crestwood: This TOP FLOOR/Vaulted Ceiling Unit offers Privacy and Convenience. PERFECT FOR EQUESTRIANS, or INVESTORS (can be rented immediately), or YEAR ROUND. Newer appliances, AC and LAMINATE FLOOR in living spaces. Great location, close to IPC, Global, and all things WELLINGTON. GREAT PRICE GREAT LOCATION! Come see it before it's gone!FURNITURE/FURNISHINGS Available Separately for TURN KEY if desired. Grand View: 4 bedrooms with garage Apartment located in a gated community . Two blocks apart from Wellington. This property is close to schools, dinning and shopping.Best location ever at an amazing price!Brand new dishwasher.